Quickest Turnaround – Unique to duplex bag filter housings, you can turn the isolation valves to put the second filter online and eliminate downtime due to bag changes. Different Capacities for Different Applications – Duplex housings can be designed with either single or multi-bag filter housings. Duplex units are constructed using FSSB or FSCT series filter vessels. 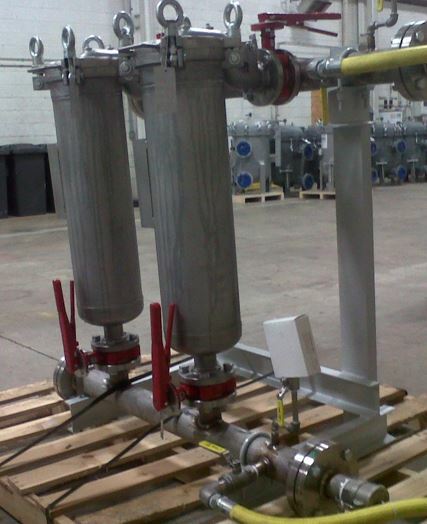 These duplex filter vessels are rated for 150 psig working pressure and are available with ASME “U” Stamp. Duplex filter vessels include perforated SS bag support basket available with round bottom that fits standard or pleated bags.